Van Jones, Demi Lovato and Dream Corps Call on Country to Unite. Event to be Livestreamed on TIDAL and YouTube. 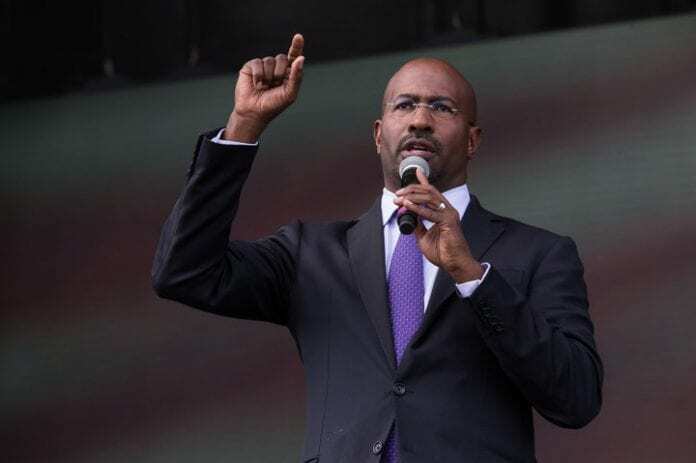 NASHVILLE, TN–Van Jones’ WE RISE Tour is continuing to travel across America as the WE RISE AGAINST HATE tour and its Nashville (8/15) tour stop will be livestreamed via TIDAL and YouTube. With the recent tragic events taking place in Virginia, the tour’s message of uniting against hate is more important than ever. The stop is part of a 14-city tour that aims to address the current divisive climate in America and engage local communities and changemakers to help address some of the most pressing issues facing the country — including social justice, racism, equality, climate justice, criminal justice reform and equal access to opportunities in tech. 100% of net ticket proceeds will go to Van Jones’ nonprofit, the Dream Corps, its initiatives, and local partner charities. What: Van Jones’ WE RISE AGAINST HATE TOUR powered by #LoveArmy. America is facing a new splintered political reality preventing needed conversations about our nation’s future. WE RISE AGAINST HATE TOUR powered by #LoveArmy empowers local communities across America and to facilitate conversations to drive progress for our nation forward.